You'll visit kid-friendly attractions like Nokomis Beach and Siesta Beach. 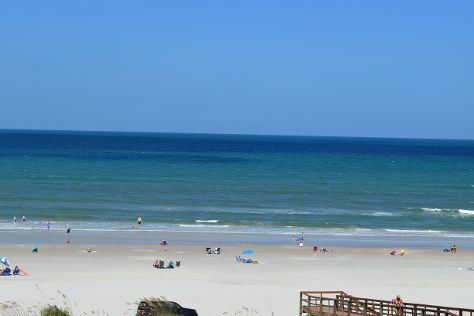 You'll get in some beach time at Crescent Beach and Fred Howard Park. Get out of town with these interesting Clearwater side-trips: Venice Beach (in Venice), Saint Pete Beach (in St. Pete Beach) and Jungle Prada de Navarez Park (in St. Petersburg). There's much more to do: tour the pleasant surroundings at Caladesi Island State Park, identify plant and animal life at Florida Exotic Bird Sanctuary, take a tour by water with Boat Tours & Water Sports, and enjoy the sand and surf at North Jetty Beach. For maps, ratings, reviews, and more tourist information, use the Clearwater trip itinerary app . Grand Rapids to Clearwater is an approximately 6.5-hour flight. You can also do a combination of bus and flight; or drive. Prepare for warmer weather when traveling from Grand Rapids in March: high temperatures in Clearwater hover around 76°F and lows are around 59°F. Cap off your sightseeing on the 5th (Fri) early enough to travel back home.